On late Tuesday, Samsung confirmed that it was working with U.S wireless carriers on a software update for the beleaguered Galaxy Note 7 for users to be able to easily confirm that the device had been repaired, or had yet to be exchanged. With update VRS2APHE, users with an older, un-repaired model will see a warning about the recall program, with information on how to turn in the phone. A device showing a green battery icon indicates a new model with the new battery. At the same time, Samsung confirmed that it had shipped 500,000 replacements for the Galaxy Note 7 to U.S. wireless carriers for consumer replacement. AppleInsider has learned that some of the retail arms of AT&T and Verizon have received "a handful" of devices for consumer swap. A Samsung spokeswoman notes that the "vast majority" of Galaxy Note 7 consumers have opted for a refund, or a different Galaxy-branded phone. 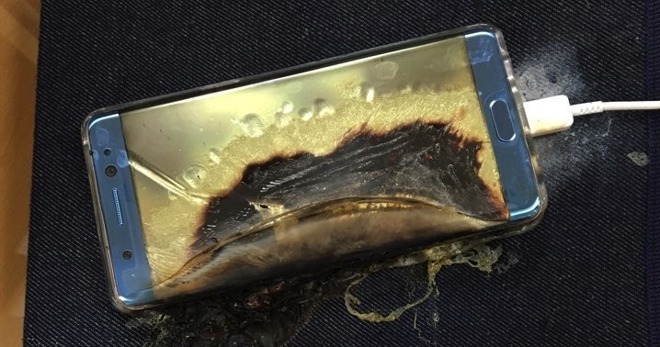 Samsung issued a voluntary recall worldwide for the device after wide-spread reports of battery fires during charging, and drew criticism from the U.S. Consumer Protection and Safety Commission for how the matter was being handled. All customers who have purchased a Galaxy Note 7 should now be able to swap the device for a new one either online or at wireless carrier corporate-owned stores. Before the well-publicized battery fires in the Galaxy Note 7 forcing the recall, reviewers and YouTube examiners discovered that the Gorilla Glass 5 used for the screen of the device was significantly more susceptible to screen scratches than other smartphones, iPhone 7 family included. Verizon has re-launched sales of the device in the U.S., but no consumer delivery date has been announced.